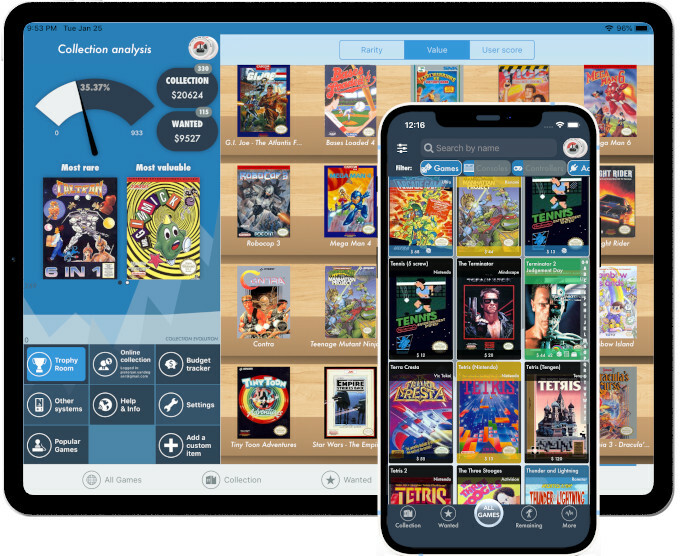 Manage your retro game collection on your phone, tablet or watch. For iOS/Android. For NES, SNES, N64, Gameboy / Gameboy Color, Gameboy Advance, DS, Wii, Virtual Boy, Genesis / Mega Drive, Saturn, Dreamcast, GameCube, Game & Watch, PS1, PS2, PS3, Atari 2600, Master System, 32X, Sega CD, Game Gear, TurboGrafx 16 / CD, XBOX (original), 3DO.